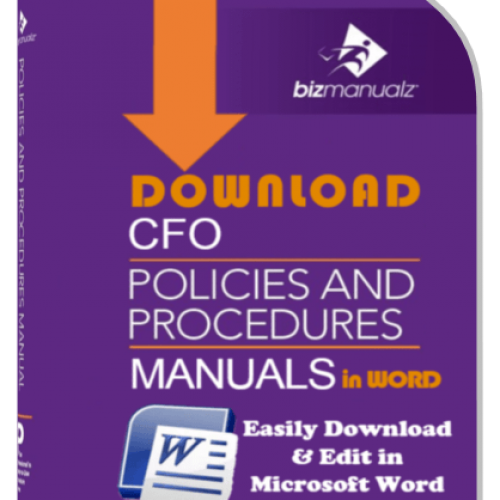 First, a 50 page Policy Manual is used to document the information policies governing the company’s IT standards and practices. 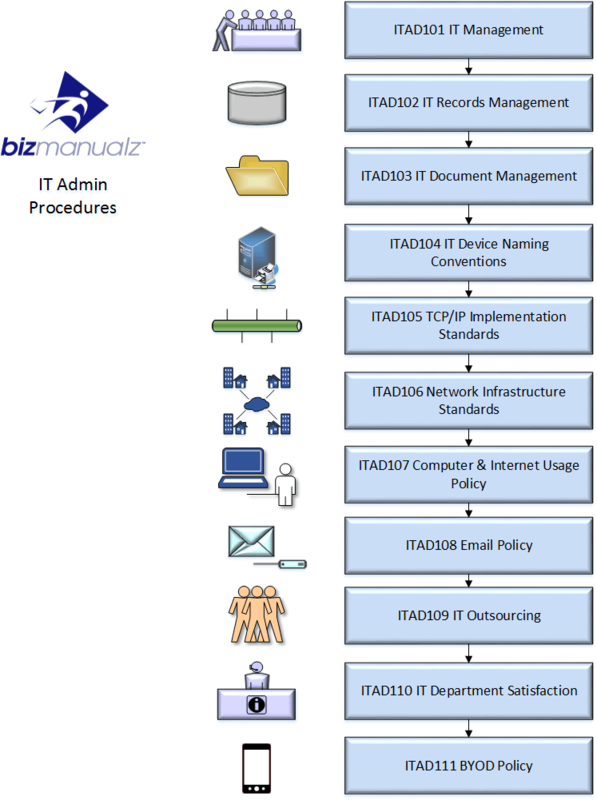 It is used as a top level guide to all IT policies and references all IT procedures. 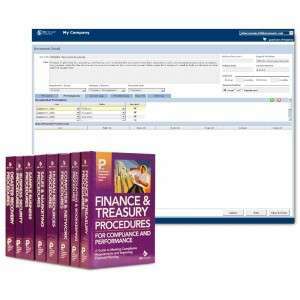 Next, 492 pages that include 41 prewritten IT procedures, 75 IT forms and corresponding activities–organized within five sections. 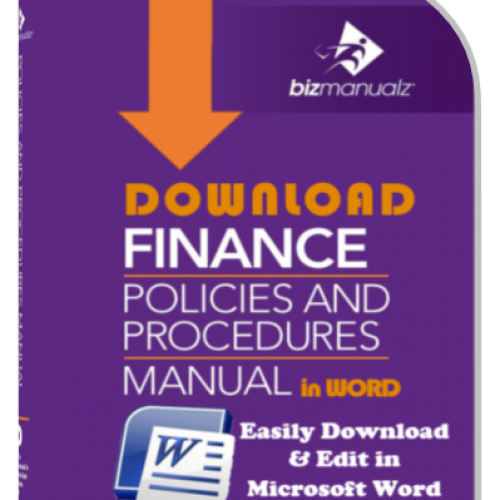 All are downloadable as Microsoft® Word documents, these information policies and procedures template files can be customized for your company. The IT Manual also includes 110 pages with 33 IT Job Descriptions covering the primary information functions within the IT Department. Free Bonus – Your IT Manual also includes this 96 page Information Security Policy Guide to securing and protecting your IT assets. A 22 page training guide explains the basic concepts within IT, its structure, standards and definitions, and more. Use as a training guide for IT personnel. Are you looking to implement Information Technology (IT) policy framework of management best practices in your IT department or organization? Or are you trying to enhance your IT policies, processes, or simply working to update and improve your company IT policies and procedures manual? 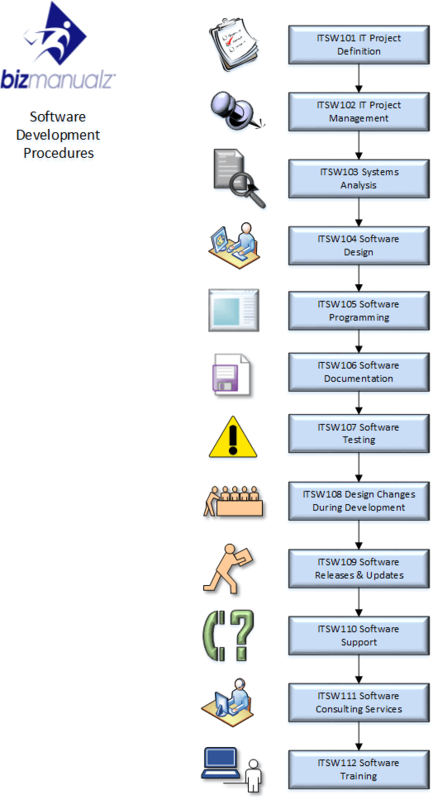 A well written Company IT policies and procedures Manual reduces costs and improves performance by enhancing consistency and establishing clear criteria for computer, network, hardware, software, information security, and IT vendors. Establishing consistent best practices and methods are an important component in safeguarding your information systems, IT assets, and IT investments. 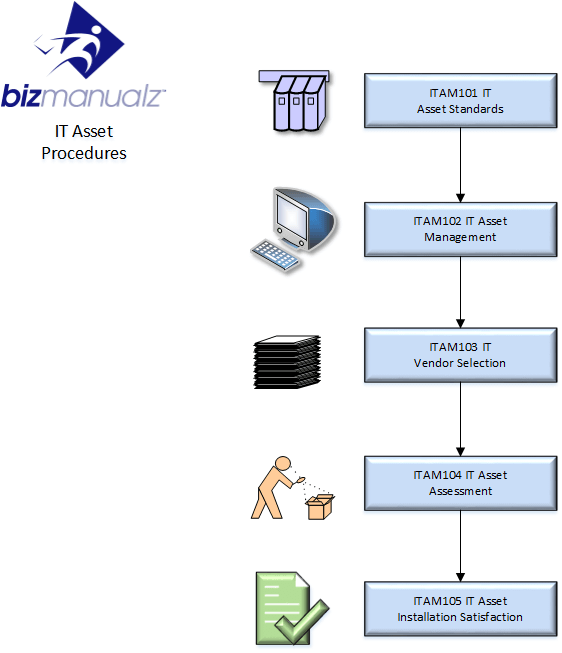 Simplify your assignment with IT policy examples and save countless hours of research, planning and development time using the prewritten fully editable information technology policies and procedures templates from Bizmanualz. 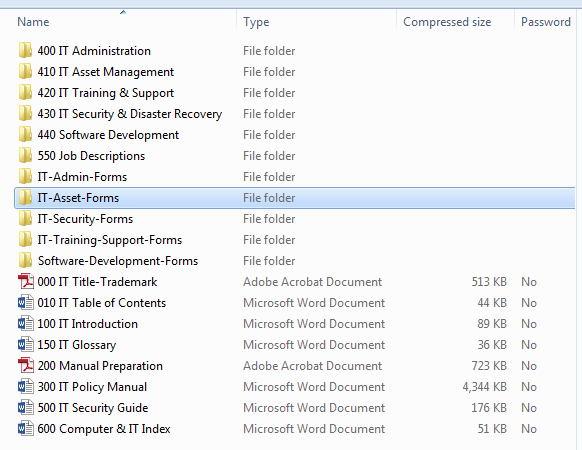 The Company IT Policies and Procedures Manual comes with prewritten IT procedures, IT job descriptions, IT forms, a CIO IT Policy manual, plus a free Computer and IT Security Guide. 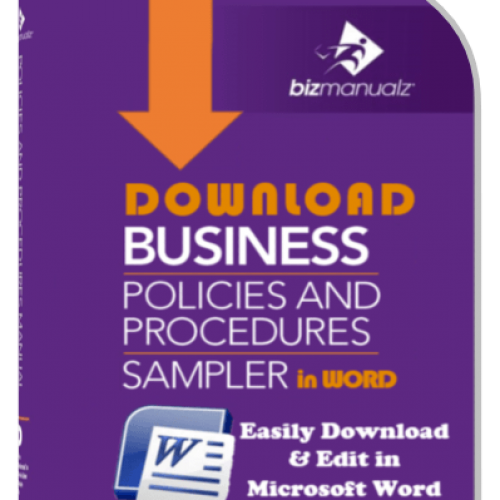 This IT Policy Framework consists of 870 pages of editable content written by knowledgeable technical writers and reviewed by experts in the field. Download Free IT Samples Right Now! 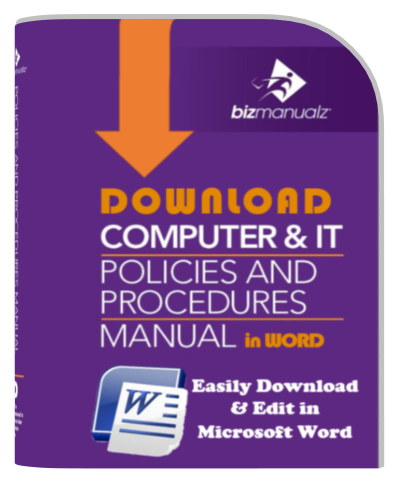 Download free sample IT procedures from the Computer & IT Policies and Procedures Manual right now with no obligation. 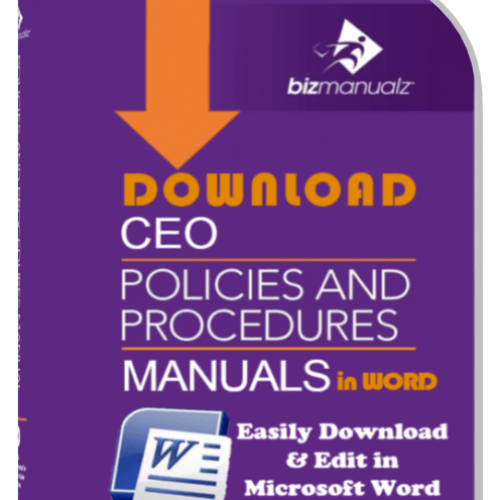 You will get the entire table of contents and one actual IT policy and procedure set from the manual. Or, if you are ready to buy now, you can place your order using our secure server and you’ll be able to download immediately. With our money-back guarantee, your purchase is risk-free! You can save hundreds of hours of research and writing by starting with prewritten information technology policies and procedures manual templates. All content is available immediately for download using easily editable Microsoft Word templates, so it’s easy to customize – no different than working on any other day-to-day documentation. Combined, these IT policies and procedures address important information technology policies such as IT administration, IT purchasing management, IT training and support, system and software development, computer asset management, and IT security. Since everything is instantly downloadable, you can start working on implementing IT Policies, Procedures and best practices right away. By playing the role of facilitator, you can help staff and stakeholders collaborate to critique existing business processes, modify them as necessary, and agree on a workable process. As their manager and resource, you can provide communications and training to reinforce buy-in and adoption. Success creates an impetus for further process improvement. With the improved focus, it’s easier to weed out unnecessary processes and get better results.